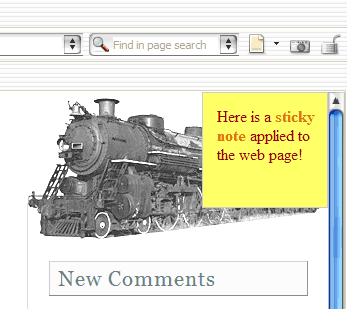 Here's the standalone demo - the sticky note is not in the HTML, but entirely generated from CSS. Now refresh the main page of this site, as I've used a CSS Signature - a unique site reference in the body tag. Any sites that use these should also work. Here's a screenshot of what you should see.